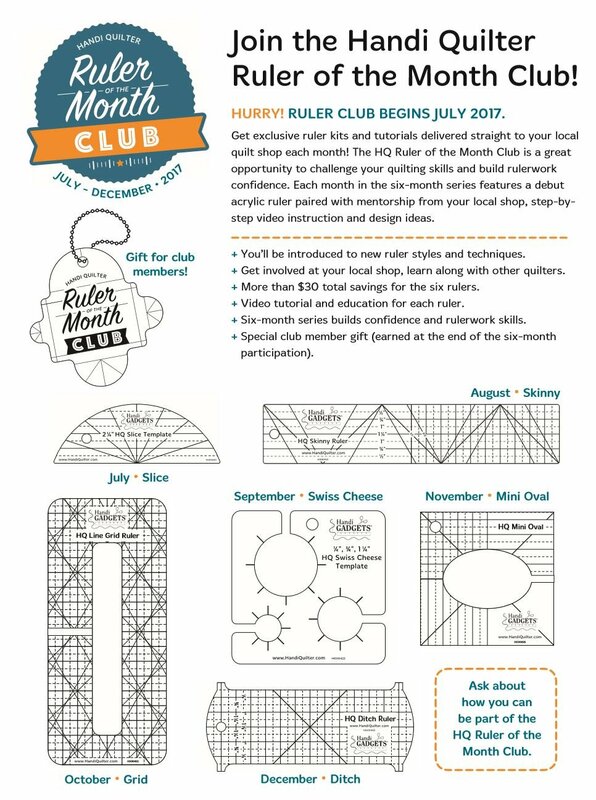 We are super excited to be introducing Handi Quilter's Ruler of the Month Club! Each month you'll get a new HQ ruler at a discounted price plus video instruction on using the ruler and access to digital design idea. The best part is these rulers won't be released to the public until sometime next year! 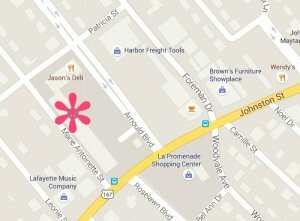 You do not have to be an existing HQ customer to join this club. Anyone with a longarm, sit-down machine, or home sewing machine with ruler foot is able to join. You know how much we love our gadgets and this is a great way to stock up on great rulers at a discounted price. Rulers will be available to pick-up in the shop by the 5th of each month. If you can't make it to the shop, we'll be happy to ship it to you (shipping charges apply). We're excited to up our quilting game with Handi Quilter! Cost is just $10 to get started and then $22/month for the next 6 months. You'll be saving $30+ off MSRP for all 6 rulers. We're coming in about a month late so we'll get you caught up for July and then get started in August.